It began with a need that spread to an idea. Then the idea melded with another and another until a chain of ideas forced us to willingly strike while the iron was–oh, nevermind. That cliche wasn’t going anywhere less…cliche. Basically, we’re a two-woman small business operating in the Pacific Northwest. We sell science fiction & fantasy books and chainmaille jewelry inspired by these books. Elise Kreinbring is the chainmaille artist half of Books & Chains. When she’s not making chainmaille jewelry, she’s playing with her kitties or gaming. Elise is also the co-owner of a music venue and art gallery in Second Life. 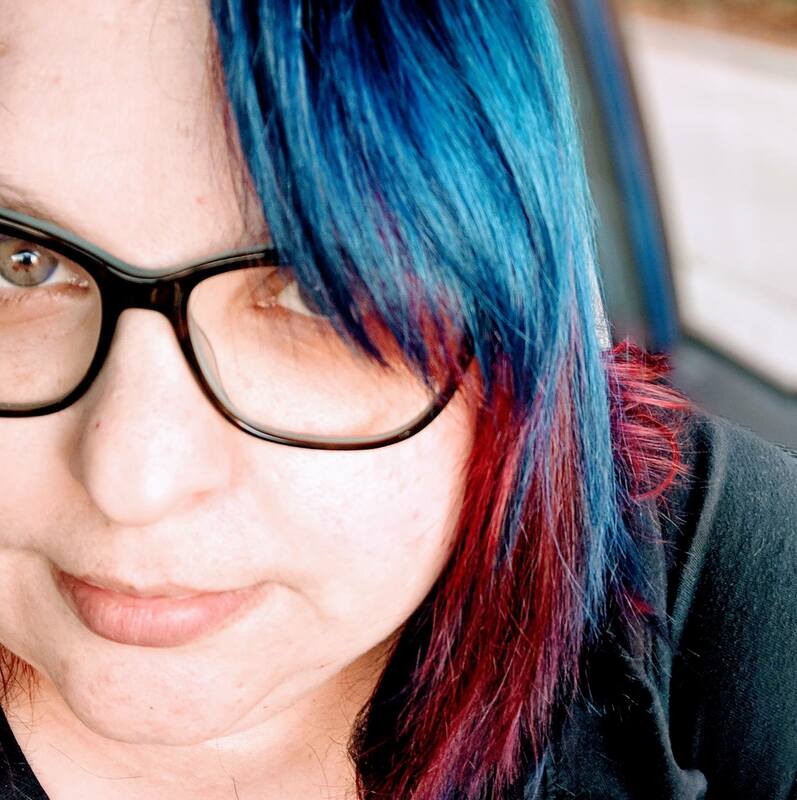 Bestselling and award-winning science fiction & fantasy author Raven Oak is the writer half of Books & Chains. She’s best known for her novels Amaskan’s Blood (2016 Ozma Fantasy Award Winner & Epic Award Finalist), Class-M Exile, and Joy to the Worlds: Mysterious Speculative Fiction for the Holidays. 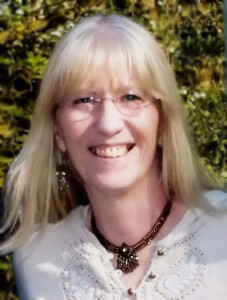 She has multiple short stories published in various anthologies and recently illustrated & released a coloring book based on her stories. When she’s not writing, she’s getting her game on with tabletop & video games, indulging in cartography and art, or staring at the ocean. Often, Books & Chains will have a guest author with us as well, so you’re always guaranteed to find some good reads and great jewelry at our booth. Check out our events calendar to see where we’ll be next. 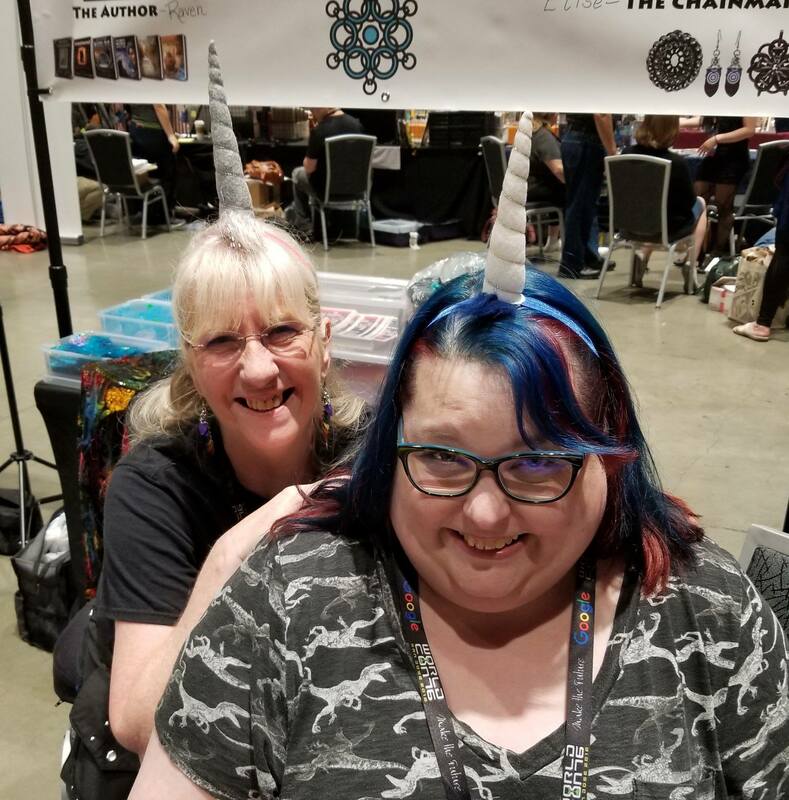 Elise & Raven at Worldcon 2018 in San Jose, CA.